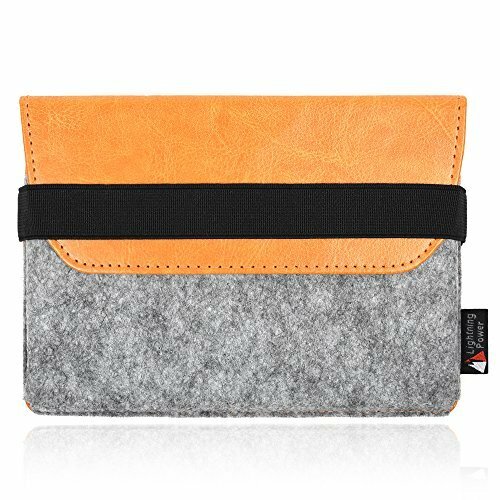 Lightning Power - Premium Felt PU Leather Protection Sleeve case for Apple Magic Trackpad 2 MJ2R2LL/A by Lightning Power at Pacs BG. MPN: 4328334193. Hurry! Limited time offer. Offer valid only while supplies last. Compatible Apple Magic Trackpad 2 MJ2R2LL/A MaterialsPremium PU leather & Felt Features - Slim Fit design, great to take with you on the go. External Dimensions: 6.7 x 5 x 0.7 "